Here at the Deck Awning Company, you can expect to be treated to an honest and up front estimate which carries a written agreement of the awning purchase and installation. 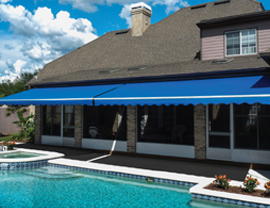 All newly installed awnings come with an extensive written warranty including parts of labor. 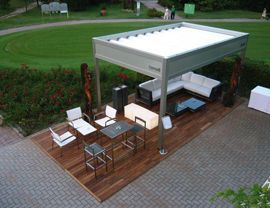 Whether you're looking to upgrade and expand your outdoor living space at home with one of our countless retractable awning solutions, own a commercial property in need of a cost-efficient awning makeover, or are seeking ideas on how to beat back the sun, we're your complete awning sales and installation solution in Maryland , Washington DC, and Virginia. We invite you to spend more time outside than ever before! 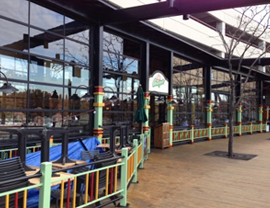 Retractable Deck Awnings and Patio Awnings create a living space that you will truly enjoy. You will love being outdoors cooking, entertaining or just kicking back in the shade. 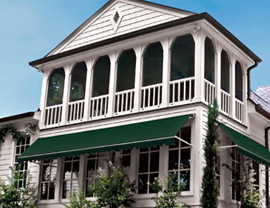 Awnings also promote energy conservation by allowing more time spent outside and less air condition usage inside.